Afternoon Tea is back! But here at The Vintage Tea Emporium we’re happy to say that it never went away. 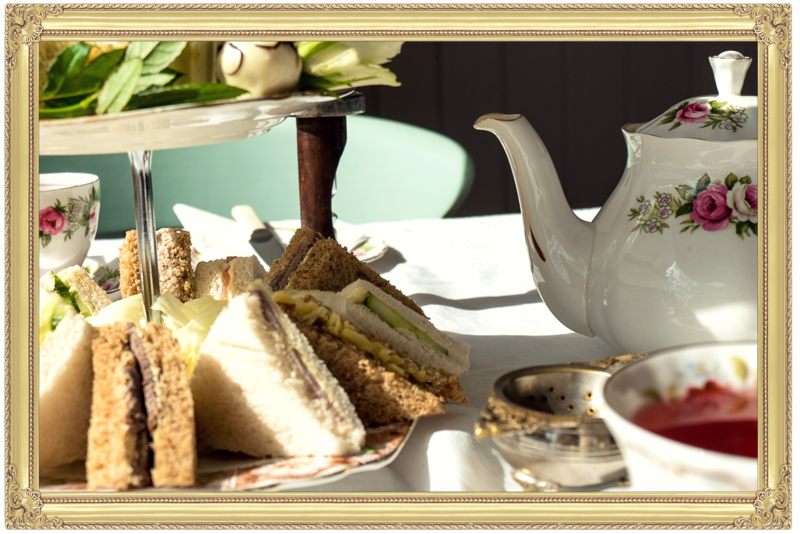 We delight in providing Afternoon Tea’s, light Breakfasts and Lunches with old fashioned service and the daintiest of presentation. 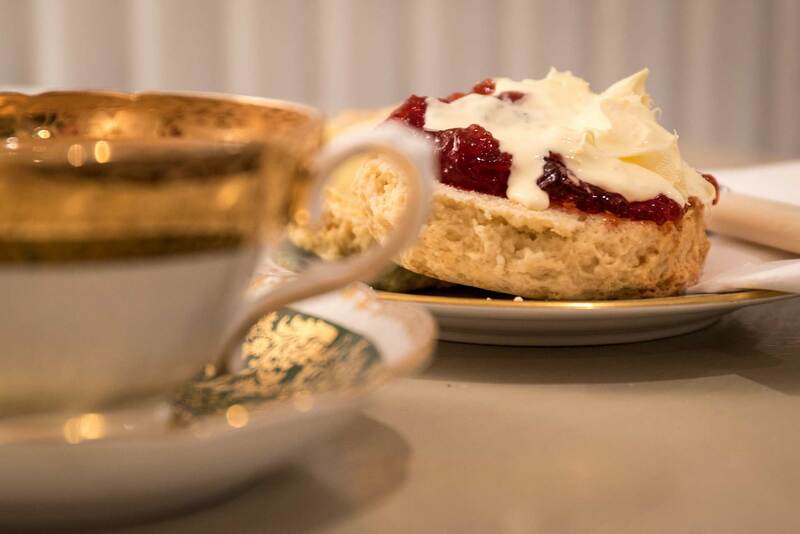 We’re open daily, Monday to Saturday, serving high quality home cooked food, loose leaf teas and ground coffees, delicious Homemade Cakes and Scones (all baked daily and onsite) – all in charming Vintage surroundings. 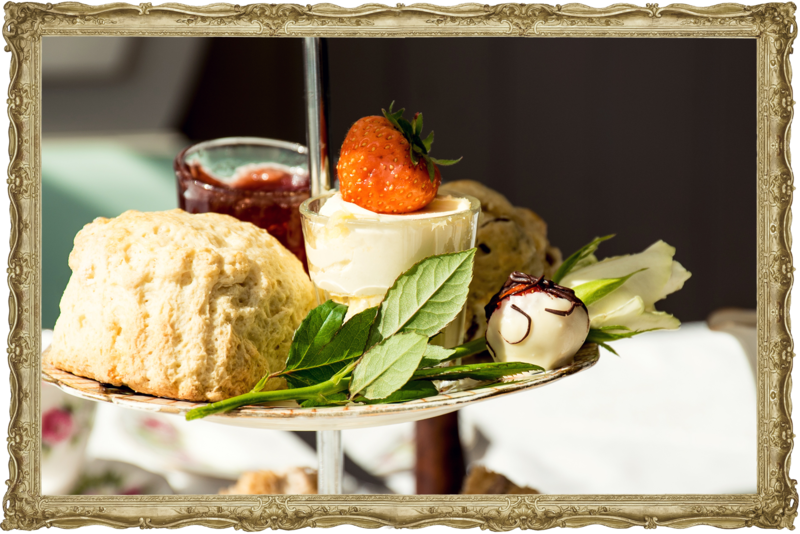 Come and discover our delightful, fresh and mouth-watering food and cakes, all presented in the traditional manner with friendly table service and English Fine Bone China – just as they’re meant to be served. Lemon Drizzle, Victoria Sponge, and our indulgent Chocolate Fudge cake are always amongst our customers favourites, not forgetting a selection of delicious gluten free cakes too – all baked in our very own kitchen using only the freshest local ingredients. 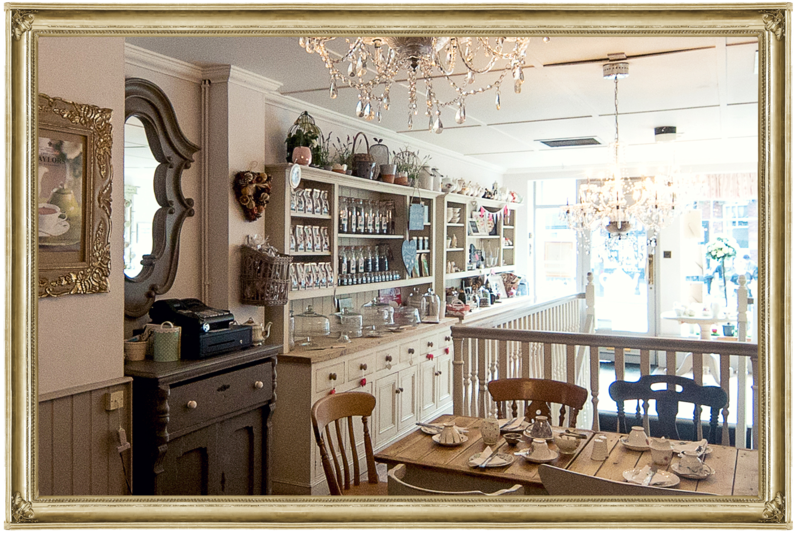 So when you’ve shopped till your ready to drop, pop in for a proper cuppa and a slice of cake? 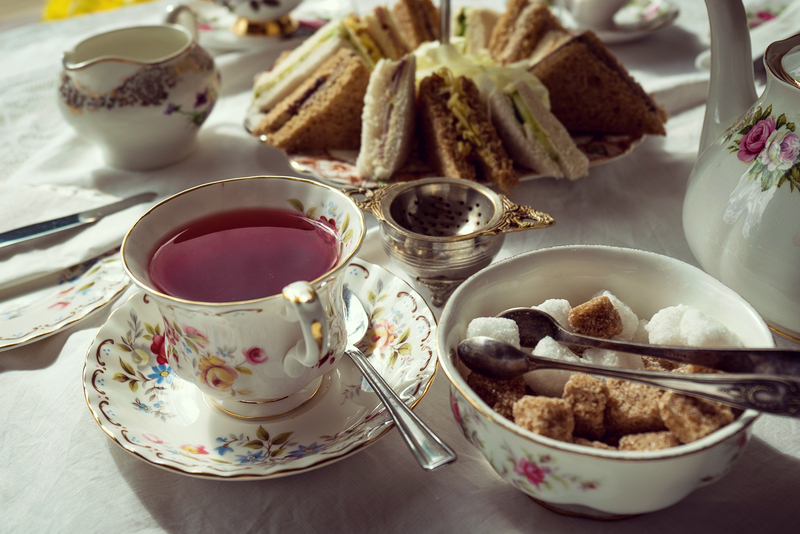 Afternoon Tea has become a bit of a tradition at The Vintage Tea Emporium. Served between 12.00 p.m & 3.00 p.m daily with a menu to suit all and prepared and freshly baked in-house – we insist on using only the finest and freshest ingredients. from our locally sourced suppliers. Our Afternoon Teas are presented on beautiful vintage Bone China triple tiered cake stands, accompanied by fabulous ‘Tea from the Manor’ loose leaf teas or Taylors of Harrogate high quality ground coffee, making this the perfect way to create an experience that is indulgent and delicious for an afternoon treat. Or why not add a glass of our superb Prosecco for that special occasion – or just because you can! We use only the freshest, finest, high quality ingredients such as British Butter and Tiptree Jams & Conserves and use locally sourced suppliers such as Waynes (of Uttoxeter) for our fruit & veg and Spencers of Ashbourne for our bread and teacakes. This ensures the quality and freshness of everything we serve. We can also bake and cook to suit your dietary requirements, so if you are gluten intolerant, lactose intolerant or have any specific dietary requirements, please let us know. 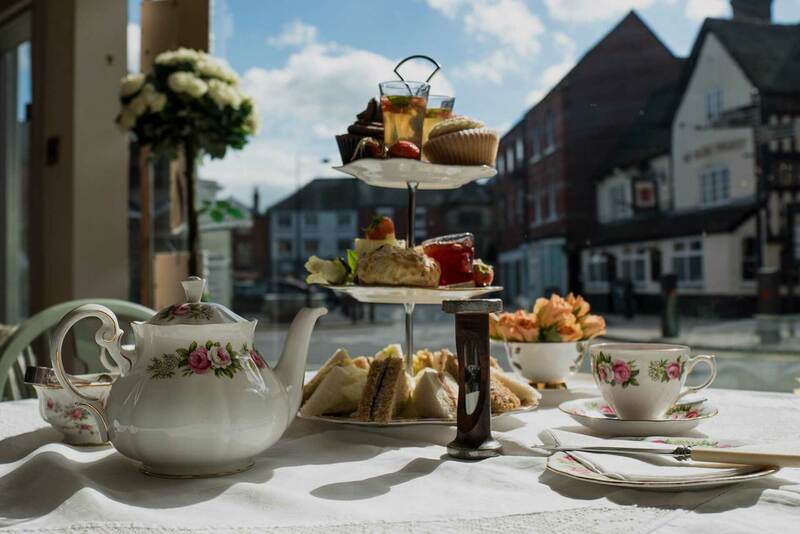 A Vintage Tea Shop in Uttoxeter specialising in high-quality loose leaf teas, coffees, and a selection of fabulous homemade cakes and light lunches. 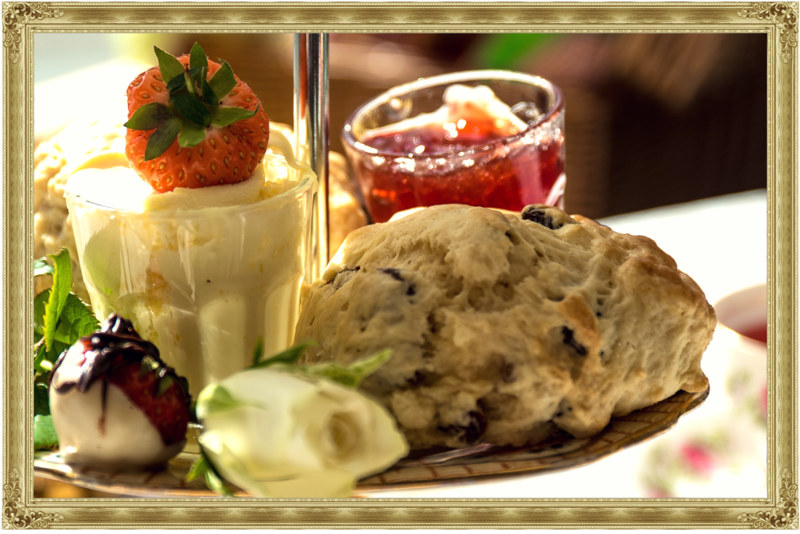 Afternoon tea with fresh cut sandwiches, scones with clotted cream & jam, plus cakes & pastries are served daily. Prosecco available for a little added fizz.